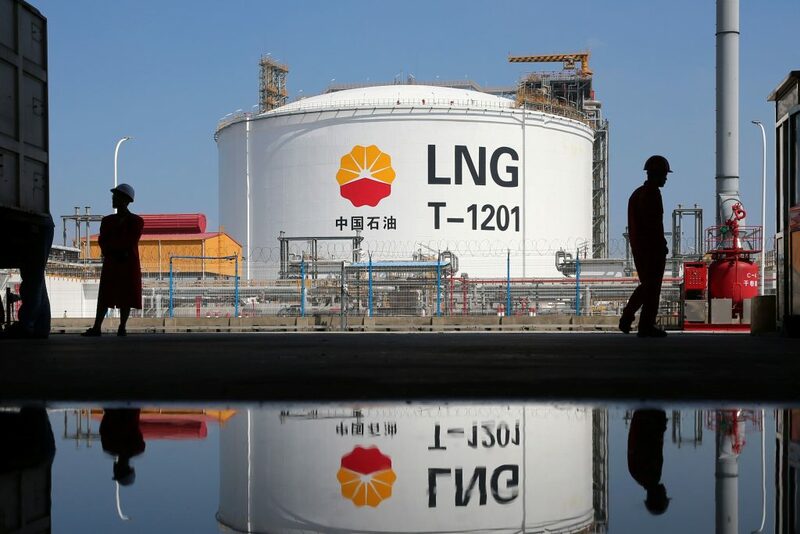 China is set to lead the global planned and announced liquid storage capacity with the highest capacity additions and capital expenditure (capex) over the next four years (2018 to 2022), says GlobalData, a leading data and analytics company. 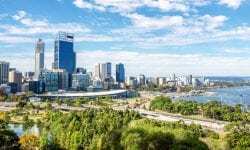 The company’s latest report, ‘Global Capacity and Capital Expenditure Outlook for Liquids Storage’, forecasts that global liquids storage capacity will grow by 6.1% from 7,222 million barrels (mmbbl) in 2018, to around 7,659 mmbbl in 2022. 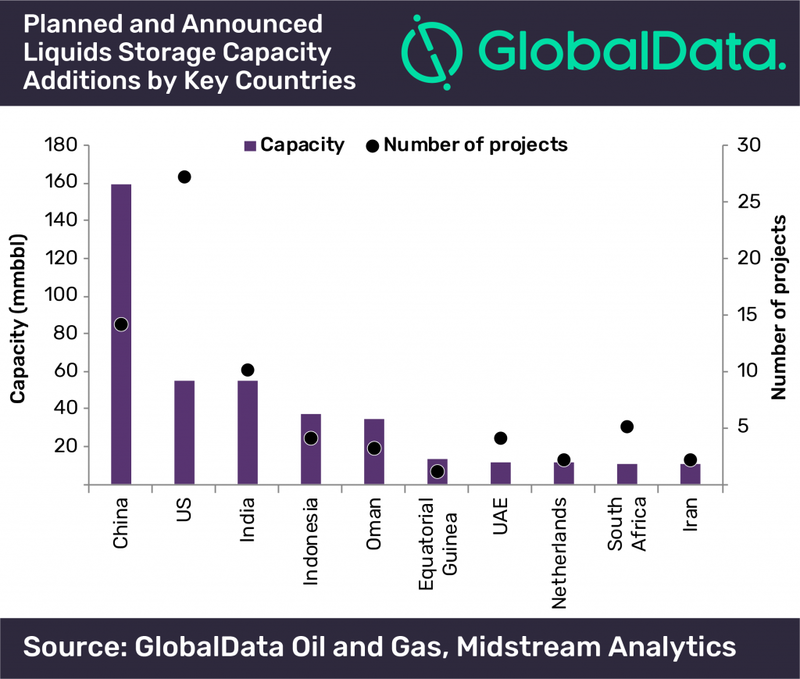 Asia, the Middle East and North America are expected to lead with the most planned liquids storage capacity additions of 283 mmbbl, 75 mmbbl and 69 mmbbl, respectively, during the outlook period. China is expected to add a storage capacity of 159 mmbbl and spend US$8bn as capex by 2022, followed by the US and India. In the Middle East, Oman has the most planned additional storage capacity, with 35.1 mmbbl by 2022. In terms of capex, Iraq leads with more than 60% of the region’s capex (US$2bn) to develop planned storage facilities, followed by Oman, with US$1.3bn capex over the next four years. In North America, the US is poised to lead in terms of both capacity additions and capex spent on the development of the upcoming storage facilities. The US is expected to add a storage capacity of 55.3 mmbbl by 2022, with a capital spending of US$8bn during the four-year outlook period. Among companies across the globe, China Petrochemical Corp has the most oil storage capacity with 67.1 mmbbl, followed by Brightoil Petroleum (Holdings) Limited and Oil Industry Development Board, with the oil storage capacity of 39.7 mmbbl and 32.2 mmbbl, respectively. In terms of capex, China Petrochemical Corp will lead globally among the companies. The company is expected to spend US$2.6bn, followed by State Company for Oil Projects and Brightoil Petroleum (Holdings) Ltd, both with US$2bn each.